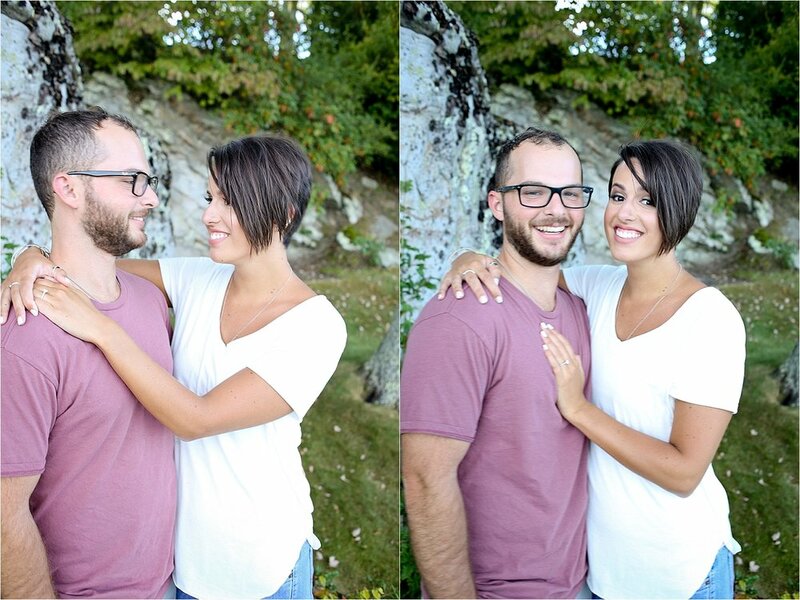 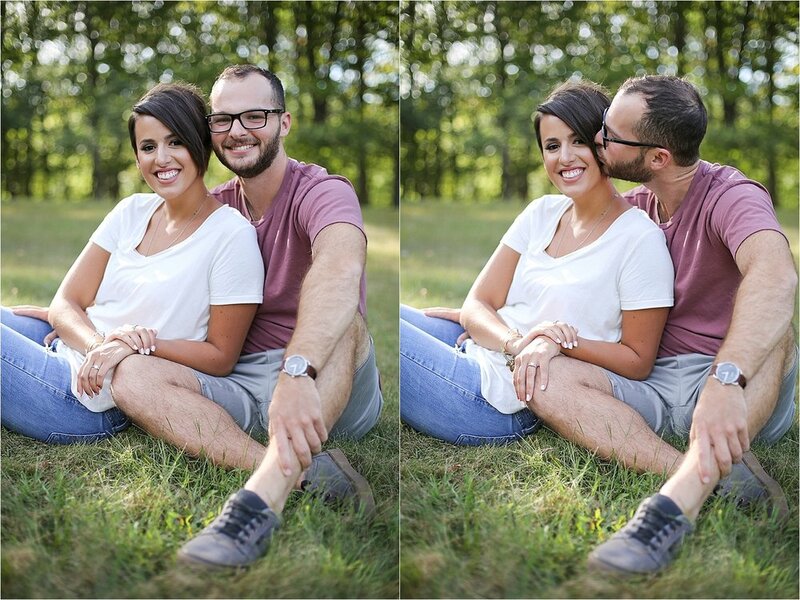 I had the honor of traveling to Ghent, West Virginia to take engagement photos for Jancis and Jamie at Flat Top Lake. 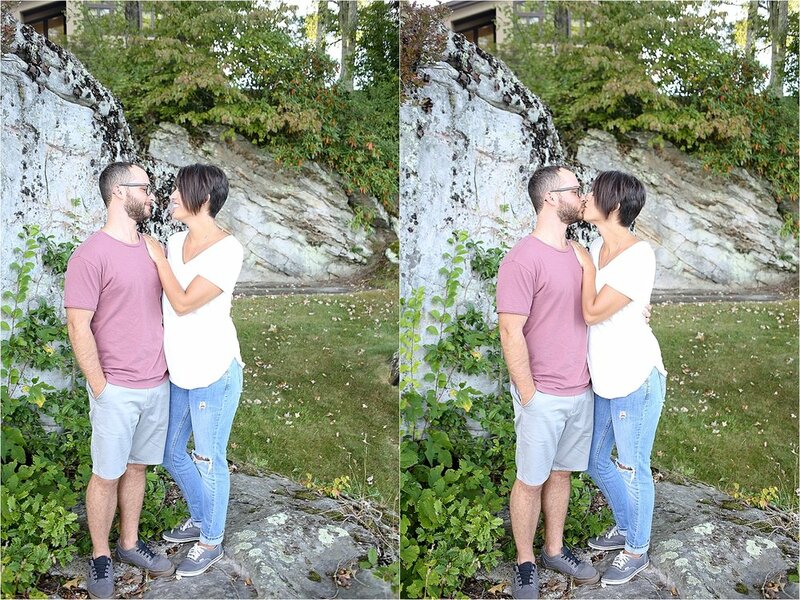 They were so laid back and fun, it was like a mini vacation to get out of town and hang out. 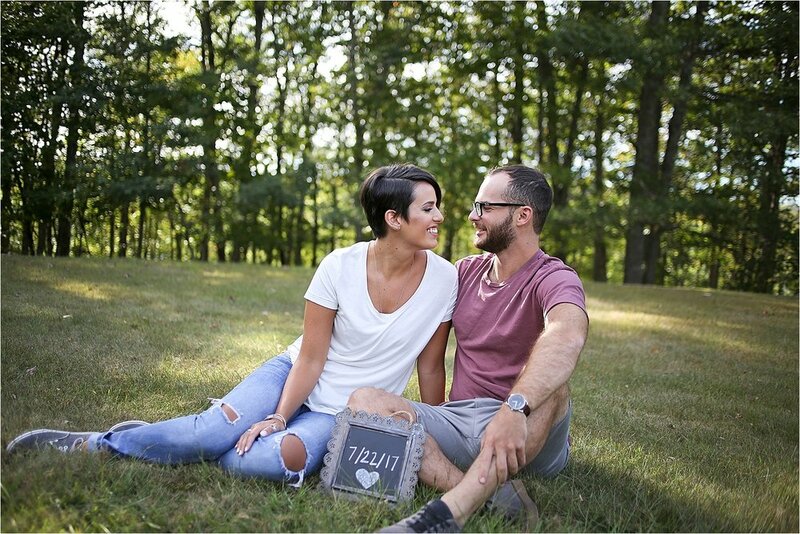 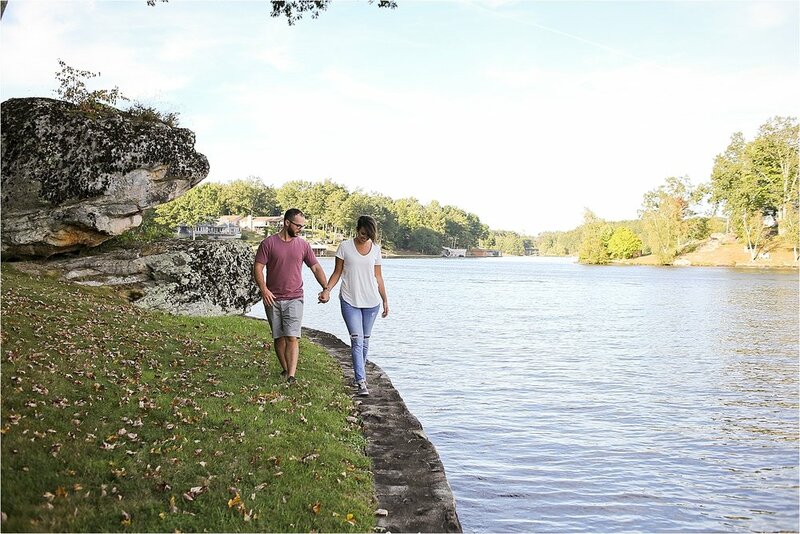 Jancis and Jamie chose Flat Top Lake for their engagement photos and as their wedding venue because of their mutual adoration for the outdoors and aventure.I love the Elliatt Porcelain Picnic Dress that Jancis picked up from Rent the Runway just for her engagement session! 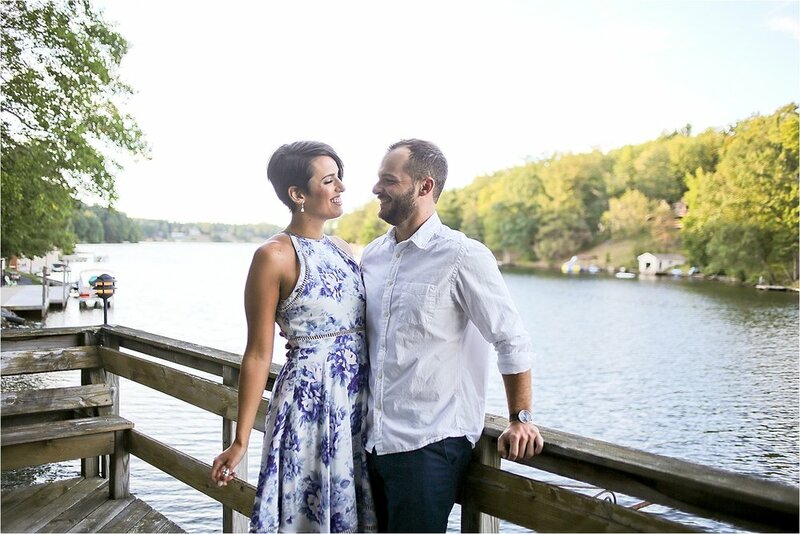 What a great idea to rent a dress, I had to add it to my 10 Tips for Choosing Engagement Session Outfits post. 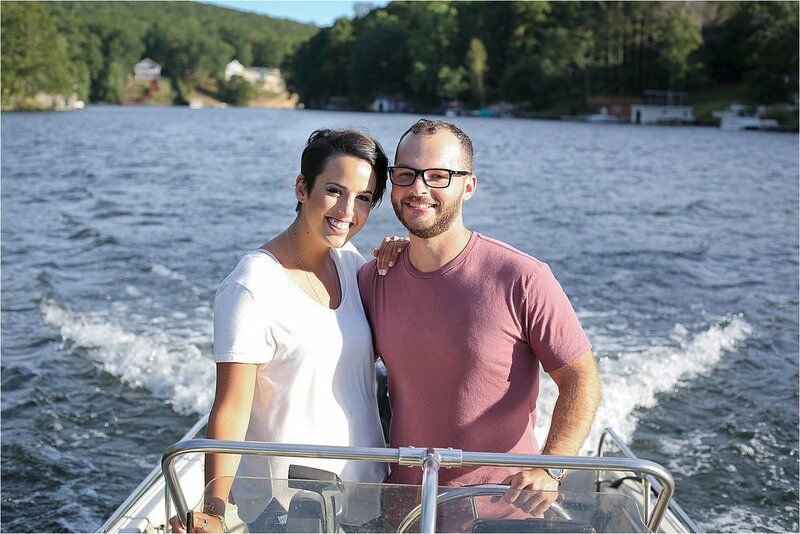 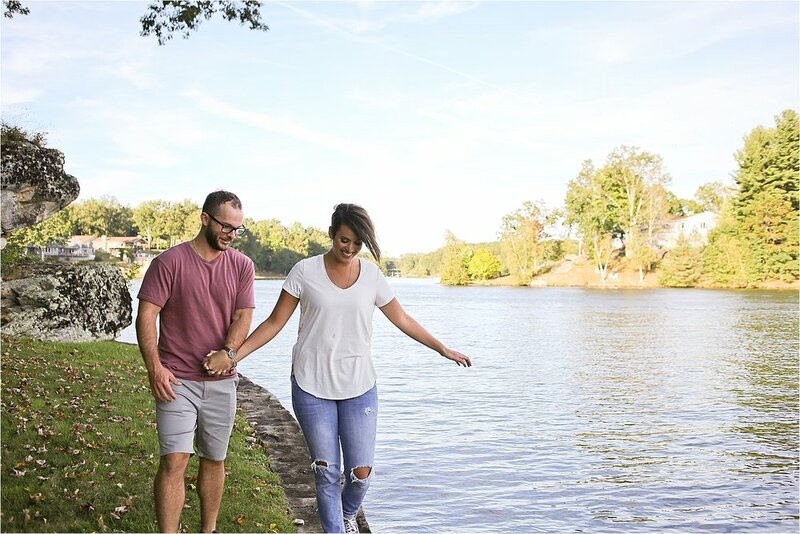 I cannot remember the last time I was on a boat before their engagement session; it was so relaxing cruising around the lake soaking in the warm sunshine. 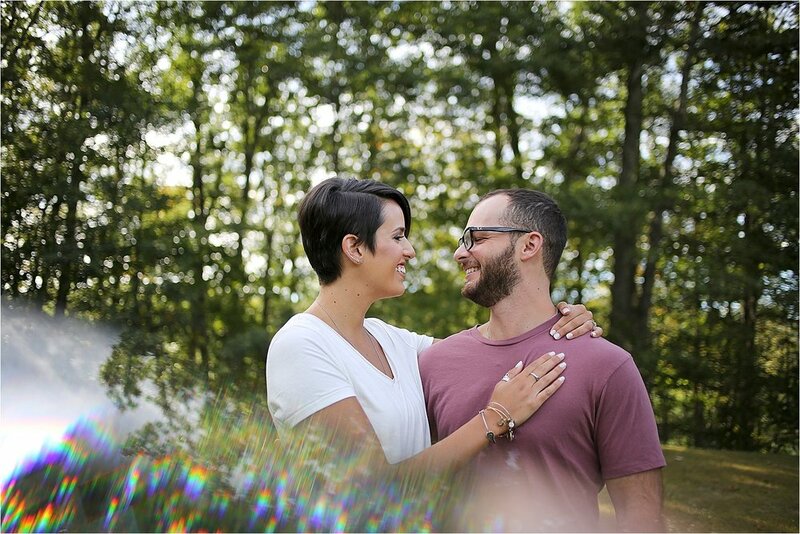 I am so excited to return to Flat Top Lake in July for their wedding!